►►Which celebs do netizens want to go on a vacation with? Netizens voted and an overwhelming majority ranked Lee Hyori and Jaebum 1st place as the female and male winners respectively. Bypassing international superstar Rain and teenage heartthrob Lee Seung Gi, Jaebum received 51% of the votes. Lee Hyori, on the other hand, earned 44%, outnumbering the votes for SNSD’s Yoona and High Kick Through the Roof actress Shin Se Kyung. Runaway from Home is a comedy film revolving around Seong Hee (played by Ji Jin Hee) who seeks to find his runaway wife (played by Kim Min Seon) with his friend Dong Min (played by Il Joon Yang) and his brother-in-law Yoo Kwak (played by Lee Moon Sik). The movie, which follows the story of these three immature men throughout their search, is set to air on the 8th. ►►[VID] SNSD’s Jessica act out kissing scene with Lee Seung Gi! So what kiss is SNSD’s Jessica wishing for? In response to this, MC Lee Seung Gi confessed, “I wanted to try the ’scarf kiss’ with Jessica in a different way.” As soon as his confession was stated, the two reportedly got to re-enact the kiss scene of course. The Hong sisters writing team — Hong Jung-eun, Hong Mi-ran — are coming back with another drama series! The intense popularity of their last series, You’re Beautiful, means there’ll be a lot of anticipation for their follow-up — and while nobody’s infallible, these two writers have a solid track record in the romantic-comedy genre (they’re five for five with hits like My Girl and Hong Gil Dong). Now they’ve cast singer-actor Lee Seung-gi, who’s coming off a huge series himself in last year’s Brilliant Legacy. He’ll play the “extremely immature” (and somewhat cowardly) lead in their new drama. The series is called My Girlfriend is a Gumiho and is described as a fantasy-melodrama. A “gumiho” is a legendary fox with nine tails that is frequently found in Korean folklore and horror tales. The main character meets a gumiho and fears getting his liver taken by her (the gumiho eats human livers), and winds up falling for her. The Hong sisters’ brand is strong on spirited comic scenarios, so even though they describe this as the most melodramatic of their projects, you can expect that the melo aspect will be more quirky than conventional. The writers explained, “Western countries have Dracula. In Korea, our classic ghost is the gumiho, and we prepared our story around that. …The gumiho carries meaning of shaking a person’s resolve. The main character’s friends all say how great he must feel to have such a beautiful girlfriend, but he can’t reveal to them that she’s a gumiho.” Fearing for his own safety, he ends up doing all sorts of things to “protect” his liver from her. The gumiho character is extraordinarily beautiful, and will be cast with an actress in her early 20s. Lee’s casting is in the final stages as the producers finalize contract details. The Hong sisters explained that this idea kept coming to them when they found themselves facing difficulties while writing You’re Beautiful. 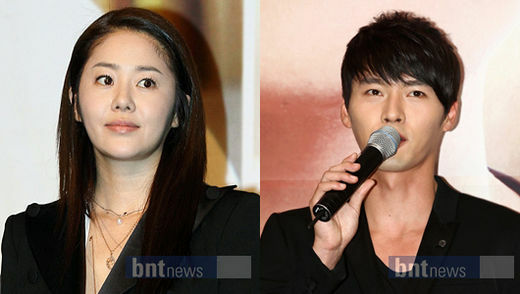 The drama will begin shooting in May, and plans to air in the summer (tentatively July or August). A two week-long survey was conducted on the 25th of January in Cheong Dam Dong by the Plastic Surgery Department asking the ladies about their ideal male celebrity to give chocolates and present to on Valentines Day. Women in their 20-30s were surveyed and about a 100 people participated. First place was attained by the currently most loved entertainer, the National Little Brother, Lee Seung Gi. Actor Go Soo, who plays Son Ye Jin’s shadow in the movie ‘Baek Ya Haeng,’ came in 2nd. Popular KBS drama actor, Yoo Seung Ho , who is receiving a lot of love from the nuna fans in the drama “God of Study”, followed in 3rd. 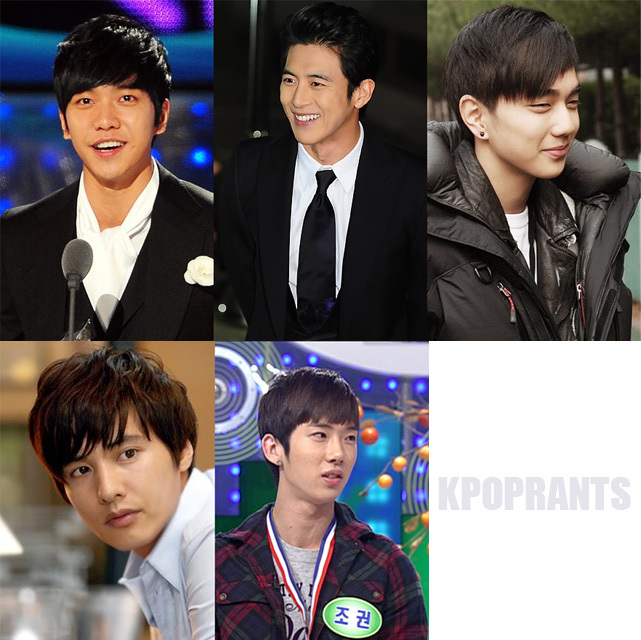 Hallyu Star, Won Bin, came in 4th, whereas 2AM’s Jo Kwon, who has been the trend with growing popularity, ranked 5th.